WASHINGTON ― As it prepares for the reality of an invasion from a foreign power, Sweden is starting to retrain its citizens on how to survive a long, drawn out siege. Step one? The release this week of a 20-page brochure, titled “If Crisis or War Comes,” to 4.8 million households in Sweden. The document, which will be translated into 13 different languages and also come in an audio version, is a how-to guide for preparing for a worst-case scenario. Such information used to be commonplace in Sweden during the Cold War, sometimes distributed on the back of the phone book. In the wake of the 1990s thaw, however, Sweden allowed its homeland defense plans and training to lapse. 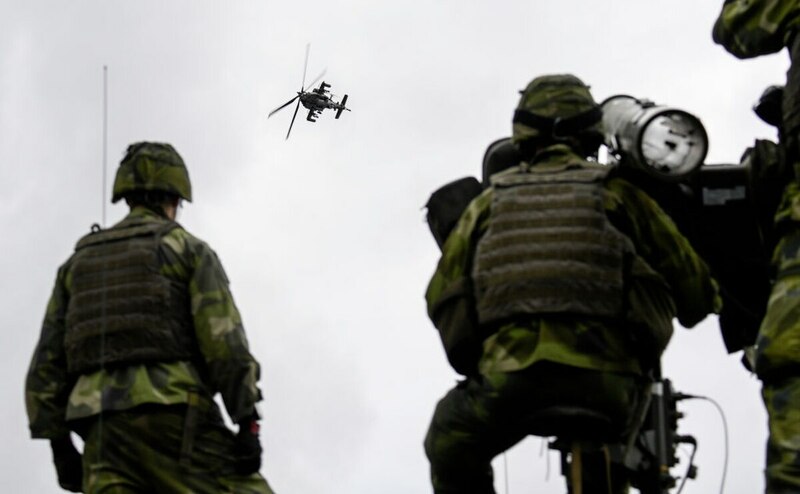 Now Stockholm is racing to catch up with an ambitious plan to train the entire nation ― military, civilian and commercial ― to transform overnight into a fortress against a foreign invader. The new brochure is part of that overall effort. Inside, it contains a mix of survival tips, including a list of food and supplies that should be stored in case of an emergency; an explanation of what three different emergency sirens mean; and a section on how to identify fake news and rumors, encouraging citizens to think critically and check for multiple sources of information before acting on what could be false data. Under the total defense plan that is being established, there are two key timelines: that it would take Sweden’s military a week to be fully mobilized, and that it would take three months before allied ground forces would be able to arrive in force to assist Sweden in reclaiming its territory. Thematically, the brochure drives home the first point ― that citizens must be prepared to fend for themselves for a period of time while the military mobilizes and switches to a war footing. Still, the concept is only in the early stages, something Swedish Defence Minister Peter Hultqvist acknowledged to Defense News during a recent interview.